Description : ADS-click is an innovative and disruptive company developing technologies that unite online advertising and voice over IP. 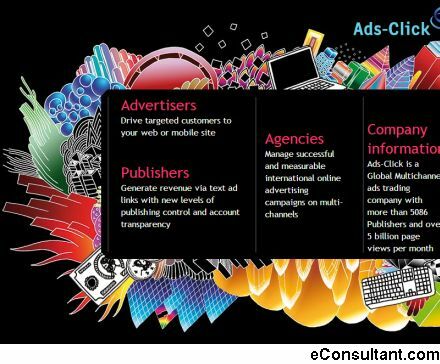 ADS-click supplies services to large media groups, small and medium sized companies and individuals who wish to monetize their editorial content and knowledge. The company’s search and contextual advertising technology is used by major Internet players in Europe, Japan and Australia.